The Red Line is the oldest line in the Washington, DC metrorail system. Today, the route runs from Shady Grove near the NIH medical center, loops down through the heart of DC, and then turns back north to end in Glenmont. At Park Van Ness, our residents have convenient metro access, with the entrance to the Van Ness / UDC station just steps from our front door. This means the entire city is just a short train ride away. For those who want delicious dining along the nearby red line stops, here are a few of our favorite spots. Let’s start close to home. Though it’s one of the neighborhood’s newest dining spots, Sfoglina is the absolute best. Sfoglina is owned and operated by the king and queen of fine DC dining: Maria and Fabio Trabocchi. This elegant Italian spot is a culinary destination for diners all over the city who crave homemade pastas and upscale Italian fare. Tail Up Goat is worth crossing a bridge for. From the Woodley Park metro, cross Connecticut avenue and walk East across the Ellington bridge towards Adams Morgan. Before you hit the main strip of 18th street, turn down a quiet tree lined road and enter one of DC’s best new(ish) restaurants. Don’t miss the homemade bread, dreamy pastas, or inventive cocktails. Or, order the dish that put this place on the map: The full rack of lamb ribs. While Dupont is known for its hustle and bustle and endless food and drink options — some of the best spots are actually a few blocks east of the circle. The 17th Street Strip has a number of award-winning restaurants including Komi, Little Serow, and Sushi Taro to name a few. One of the best neighborhood supper spots however is Duke’s Grocery. Don’t be fooled by the name; this London-focused restaurant and bar offers some of the most delicious bites in the city, including a hamburger that is so unique and tasty it regularly makes local lists for Best Burger. It may be a couple blocks from the metro, but Duke’s Grocery is worth every step. Just a short downhill stroll from the Dupont station, you’ll find two DC dining gems. Tabard Inn and Iron Gate are both great options for diners coming off the Farragut North stop, but Tabard Inn is a can’t-miss spot in the city. 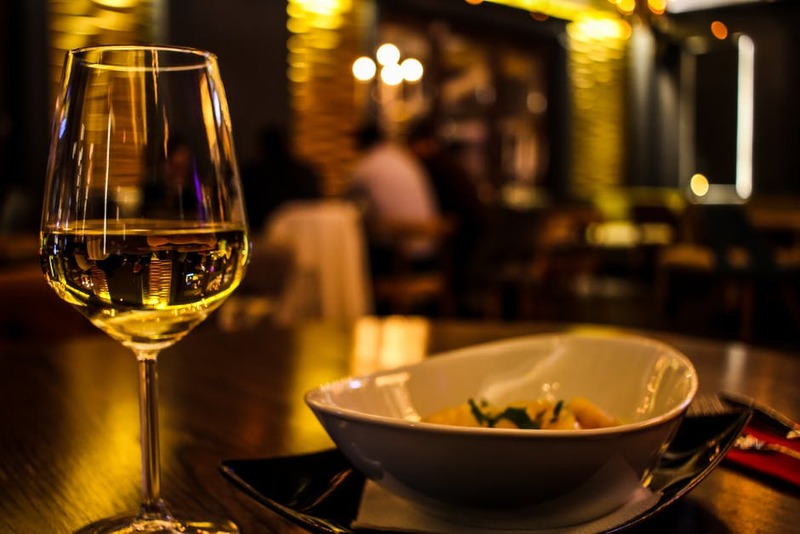 If you’re in the neighborhood, no matter what season or time of day, Tabard Inn offers a quaint, cozy spot to unwind over a bottle of wine, listen to jazz, nibble on appetizers, or enjoy a romantic multi-course meal. While afternoons and evenings are a great time to stop by, the weekend brunch is another favorite for Washingtonians. Sometimes, you just crave a good old fashioned steak. DC has plenty of power lunch hotspots, but Mastro’s is at the top. This high end steakhouse serves meat and seafood in a swanky setting often filled with Washington’s elite. Of course, there are plenty of alternatives in this part of town, such as Rasika, Central, and even the landmark spot: Old Ebbitt Grill; but if you’re looking for a classic, Mastro’s hits the spot. DC is full of delicious restaurants, bistros, cafes, food trucks, and pop-ups, so it’s impossible to name all those spots deserving recognition, but, for those metroing into DC from the Van Ness neighborhood, these are some of the very best options within an easy stroll of a red line station. Contact us today with any questions you have about the Van Ness neighborhood or our favorite DC restaurants!